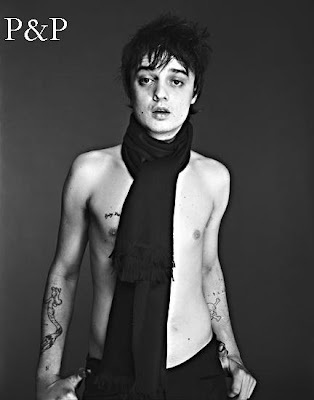 Pete Doherty (The Libertines, Babyshambles), is probably more famous for his drunken and drug induced antics, and for dating Kate Moss, than he is for his music. It’s a shame, because the man makes great music. The Libertines’ Up The Bracket is a masterpiece in my books. It’s one of those CDs that I listened to so much one year that it actually reminds me of a time in my life. His post Libertine work with Babyshambles has been decent, but these brand new solo tracks from the upcoming Grace/Wasteland sound a lot better to me. Still haven’t listened to them more than once, but “Last Of The English Roses” is a very different sound for Pete, and it’s excellent. The soundscape behind Pete is cleaner, but he still has that sloppy, punk rock singing style that I’ve come to love. Check them out below. Thanks to Our Iron Lung.